This post (and many this month) will be a little shorter than my usual fare, as I'm devoting an increasing amount of time to preparation for my trip to Odyssey Writing Workshop. Speaking of which, I'm still looking for guest bloggers to avoid taking a blog hiatus while I'm gone, so take a look at that link if you're interested. 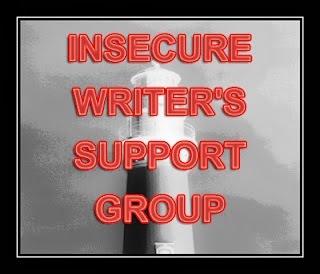 Meanwhile, it's the first Wednesday of May, which hails the regular arrival of the Insecure Writer's Support Group, hosted by Ninja Captain Alex J. Cavanaugh. The group offers a place for writers of all kinds to support each other in those ever-present moments of insecurity. "It's one of the strangest attributes of this profession that when we writers get exhausted writing one thing, we relax by writing another." As the reality of my Odyssey acceptance begins to sink in, burnout is something I've been thinking a lot about. By all reports from past graduates, I've got an enormous amount of work ahead of me. By the end of that six weeks, I'll probably be exhausted. But I'll mostly be pumping out new material while I'm there, so as tiring as it might be, that exhilarating feeling of creating something new will most likely never leave, and I imagine I'll be very grateful for that. Of course, I'm no stranger to that feeling of exhaustion that long ventures into the written word can bring. It most likely played a part in the failed novels of my early writing exploits. Most of us experience this from time to time, especially when it comes to longer works. And though part of me is glad I never finished those novels because I've improved by leaps and bounds as a writer since then, another large part of me wonders what might have happened if I'd just taken a little break to work on something else for a while. I wonder if I'd have two completed novels to my name? I'll never know the answer to that question, but having since experienced the rejuvenation that Dan Simmons is referring to in this quote with other projects, I know it's something I'll be trying the next time burnout rears its ugly head. And if you find yourself in a similar situation (and considering the A to Z Challenge just ended, some of you probably are), why not give it a try? Instead of giving up on that novel because of an exhausting "block," try relaxing for a change. Take a break and work on a short story, or perhaps a flash piece. Experiment a little. One short trip into another world might be all the cure you need for the burnout blues. I love Dan Simmons, he's the first of my two most favorite sci-fi writers (the other is Peter Hamilton). And this quote is really fitting -- the best way to take a break from an exhausting (or stalling) project is to focus on something else for a while, but still keep our fingers and brain-cogs moving. That's probably a good thing! At least those things are getting fixed. I'd only be worried about it if it happens when you're ready to put that story behind you and move on to the next thing. Which can happen! I still occasionally think about the first novel I ever attempted years ago. Sometimes they don't want to leave you. I definitely need to apply this quote to the short story project I keep forgetting about. I always unwind by starting another novel. Lol! You know, if I had never ever completed those first several novels, I honestly think I would be in the same position I'm in now. I got a lot of feedback in college and learned a lot and that dramatically changed my writing. I almost felt like I was starting over from scratch because the first novel I wrote after that was actually a little worse in some ways than the one that came before it. But longer. Much longer and actually proper novel length so...there are pros and cons to having past novels attempts to compare it to. Yeah, I'm still torn on that. It would have been nice to have finished them just to have that confidence under my belt. To know you can see a novel-length project through to the end is a nice piece of affirming thought to carry with you. But, I'm also glad that none of that stuff ever saw the light of day . . . and if I'd finished them, they might have! That's why I tell new authors as soon as the dust settles from a release, dive into another project, because it's easy to grind to a halt due to exhaustion. You'll learn so much from that workshop! And who knows? You might finish those two projects eventually. There's definitely a possibility that I'll dive back into those projects one of these days. For now, it's a little traumatic! But I still think about those stories from time to time. I do this all the time. I'm always moving on to the next writing project, although I typically don't go back to old ones I had to stop writing. I'll realize I don't want to continue them most of the time. Or, I'll completely start over again at a later time with a totally new take on the story, like my current WIP. I suppose that's the danger that exists when you let yourself romp around with something new without finishing the old project. You might never go back to it! That's why I think I'll only use short stories and flash fiction as side projects when I begin a new novel. Otherwise, the temptation might be too strong to leave another unfinished novel to the wayside. Agree with Alex--exhaustion is a nasty little thing that can do even nastier things to authors! And I'm so super excited for you about the workshop! Have the best time ever, JW!